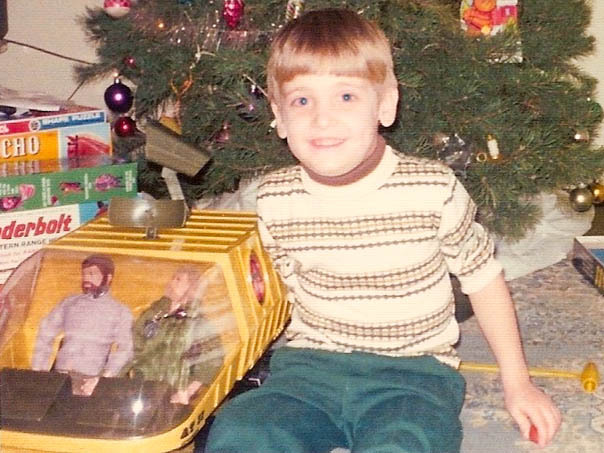 I've been a fan of GI Joe since I found a GI Joe astronaut in a relative's toy box around 1970. 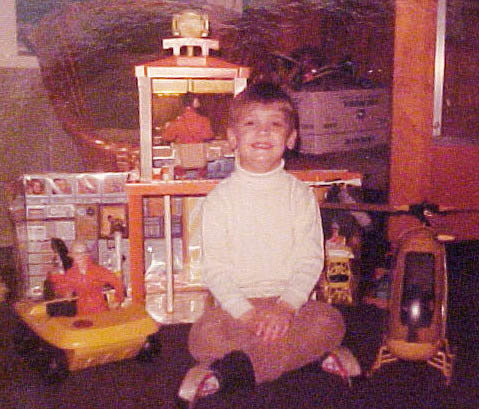 Picking out my first accessory set (it was Danger of the Depths) in 1971 sealed the deal. I still have a vivid memory of taking my Secret Mission to Spy Island set to school for kindergarten show-and-tell. 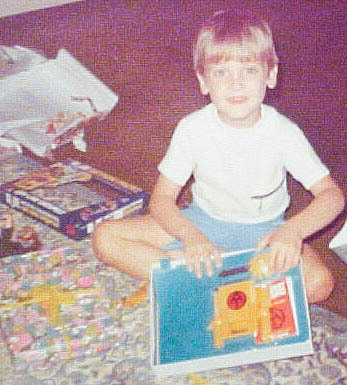 I played with GI Joe up through the mid 70s, but never really lost my love of the toy. In the 90s I began rediscovering GI Joe at flea markets and on the then new ebay site, and have amassed a collection that features examples of each production item made between 1964-76, with many packaged. 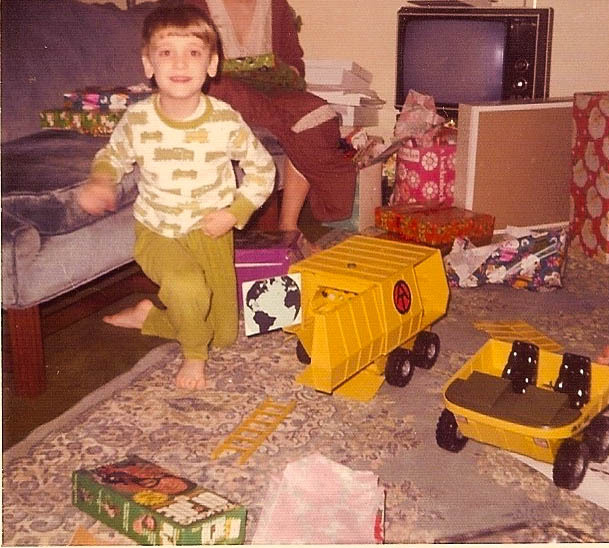 I hope to spread my love of the greatest toy as far as possible, and interest new collectors in the world of vintage GI Joe. Above, a portion of my Joe room. 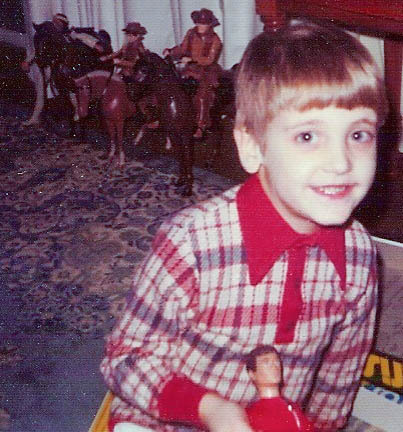 A selection of childhood photos of me with GI Joe circa 1972. My original stuff is gone, but I feel lucky to have these images.